NEW YORK – Ladies and gentlemen, boys and girls, do we have a special treat for you today on our one year anniversary. Happy Anniversary! As the marquee reads above this article, we have New York Giants WR Steve Smith in the house. Steve was nice enough to take some time out of his busy schedule and answer a few of our questions and yes fans, this is the real Steve Smith (he has since added this story to his facebook wall). In fact, Steve Smith will forever go down in history as the first interview ever for nygreporter.com. We are thankful to Steve (and his agent) and very thankful for all of the good things happening to us lately. Steve Smith comes from an elite college football program at USC. I forgot to mention that I was at the Los Angeles Memorial Coliseum on September 6th, 2003 and saw USC beat BYU 35-18, Smith was on the USC roster at the time and so was Terrell Thomas. They went on to win the Rose Bowl that season and both eventually made it to the NFL. Not surprisingly, the two former/current teammates are two of the best players on the team. Clearly products from an elite program under the tutelage of solid coaches. Smith has done quite a bit in his short career with Big Blue. This includes getting himself out of the shadow of another NFL player in Carolina who shares the same name. He is breaking Giants WR records and he’s been to the Pro Bowl. Smith has become QB Eli Manning’s favorite target when the team needs a big play and he never complains when asked to sacrifice for the team. He has a Super Bowl ring and has established himself as a top tier NFL wide receiver. He is also a fan favorite for his laid back and cool style which compliments his skills on the field. No.12 jerseys (Steve Smith Jerseys and Collectibles) be seen all over the tri-state area and you have to sit back and wonder what Smith could possibly do in 2011, that will have fans rooting for him even more? Will he break another record or get back to the pro bowl in Hawaii? We will all have to wait and see but one thing is for sure, Steve Smith is going to play hard and be a huge asset for the New York Giants. 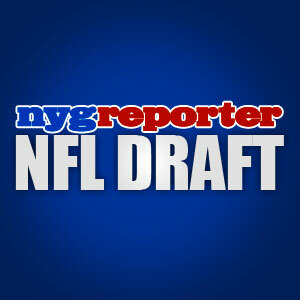 Please join us, as Steve shares his thoughts on the G-Men and his NFL career right now. 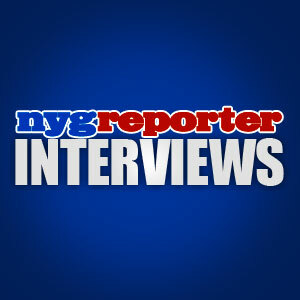 RD/Q1: Hello Steve, welcome to nygreporter.com and thank you for doing this interview. With the 2011 NFL Draft coming up next month, my mind always wanders to the rookies and what they have to go through during the transition process. When you first arrived in the NFL after playing football at USC, what were your personal expectations during that rookie season? Steve Smith: My expectations were to come in and make an impact. Just like I did at USC. Unfortunately, injuries set me back for most of the year but once I got healthy towards the end of the season, I showed what I could do. RD/Q2: Winning a Super Bowl ring in your rookie season is crazy and something very few NFL players can own. What is your favorite memory from that entire life experience? Steve Smith: Yeah, it was crazy. It was an unbelievable experience and I enjoyed the whole ride, from beating the Cowboys on the road to beating the Packers and Brett Favre and of course beating the Patriots. I remember it all like it was yesterday and it makes me hungry to get back and win another ASAP. RD/Q3: By now, the fans have all seen what the Giants XLII Championship ring looks like, it is magnificent. Other then Michael Strahan (with all do respect of course), what player from the 2007 team shows off their ten table bling the most? Is it Sam Madison lol? Steve Smith: You know what, that’s a good question. I feel like most guys keep it in a safe place, as I do and don’t show it off too much. It’s something we all treasure and don’t want to lose. RD/Q4: The amount of recent injuries endured by the G-Men has been staggering from a fans perspective. Steve, you are inside the locker room, how frustrating has it been for you personally and for the other players to have to deal with the wave of injuries the past two seasons? Steve Smith: It has definitely been frustrating but it’s a part of the game and everybody realizes that. That’s why it is important to have good depth and good leadership. RD/Q5: How are you feeling yourself, Steve? The team was not the same without you on the field last season and we all hope you are back to 100% soon. I would also like to point out, that I believe I was the first person to call you Steve “the silent assassin” Smith. Did you know this was one of your nicknames (do you like it?) and do you have any other interesting nicknames the fans might not know about? Steve Smith: I am feeling great! I am working hard everyday in rehab and I’m right on schedule. I’ve never heard of that nickname (the silent assassin) and I am not as silent as you may think. Another nickname I’ve gotten from fans is “3rd and Smith” (in reference to all of my 3rd down catches) and then “Scuba Steve” is one from my college days. RD/Q6: You have seen some drastic player moves since you were drafted by the Giants back in the day (you’re a veteran now). What are the top player acquisitions you have seen since your arrival in New York in 2007? Also, which young Giants player is on the rise in your opinion? Steve Smith: I think bringing in veteran safety Antrel Rolle was a great move because he is a Pro Bowler at a position we needed help with. I think that one stands out the most but there are a ton of other moves that were important as well. All of which contribute to making us a very dangerous team in 2011. RD/Q7: What are your goals for the 2011 NFL season? I have practically guaranteed that the Giants will not miss the playoffs for a third year in a row. I do not apologize for my aggression in that statement. Do you feel the same way? Do you think the Giants will return to the playoffs in 2011? Steve Smith: There is no doubt in my mind that we will return to the playoffs in 2011 and do some damage when we get there. Our one and only goal is to win the Super Bowl, so nothing else matters. Personally, my goal for 2011 is to be 100% healthy for the entire season and help my teammates matter as well. RD/Q8: The Wide Receiver group has a ton of talent. I can’t remember the last time this group was so deep with good players. How do you get along with your fellow WR’s and who is your best friend on the team? Steve Smith: They’re my best friends. Hakeem, Mario and I are very close and hang out a lot off the field. RD/Q9: The Giants have 21 free agents to work on this off season. That is a lot of work to do and something the team has been addressing this past week with a few signings (Ware, Hixon and Reynaud). Do you want to play your entire NFL career with Big Blue? Also, how does it feel to have the Giants all-time record for receptions (107) in a single season? Steve Smith: Of course I want to stay in New York my entire career. Having the record feels great but it is not something I really think too much about because I am focused on the future and not the past. I’m sure I will appreciate it more when I look back after my career is over. RD/Q10: Last question Steve, if you were trapped on a deserted island and could only take 3 people with you to help you survive, who would they be? Steve Smith: My Mom, my brother and Eli Manning. RD/EI: Thank you so much for the interview Steve and Giants fans look forward to seeing you return strong in 2011. What a classy guy. What do you think fans? I think he was very generous with his answers and very firm in his beliefs. We learned a little bit about his state of mind and health status, as well as some cool facts from his college days. I am even more convinced now that Steve Smith will be ready for the 2011 season and he will be looking to make big plays for Big Blue. If you’re interested in learning more about Steve or the charities he supports, be a sport and follow/friend Steve on his facebook account http://www.facebook.com/SteveSmith and his twitter account @SteveSmithNY. 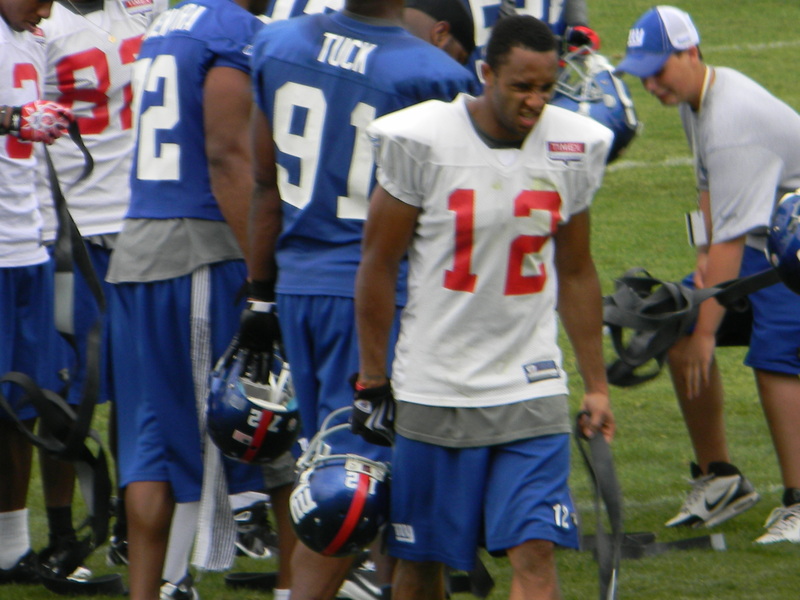 Here is a link to the photographs we have of WR Steve Smith at the 2010 training camp in Albany. All photographs are the property of nygreporter.com. nygreporter Celebrates 1 Year Anniversary at Midnight! NEW YORK – What a crazy year it has been in the world of sports. I can’t believe we have been up and running for a full year already. I was trying to get our readers an interview with a Giants player for this special occasion and got very lucky, because I have one of the best players on the team answering a few questions for us. I will publish the article tomorrow (Sunday 3-6-11) of an interview I had with a “surprise” New York Giants player (he has since been revealed as WR Steve Smith). I suggest you all come back tomorrow and see who it is that I’m talking about. I promise you won’t be disappointed. Hopefully, we will be able to get more interviews now with Giants players and coaches. I know these are exactly the types of articles Giants fans want to read with their coffee in the morning or at home at night. Some of the other writers here like Josh and Saulo, have been with the website since we first went live. Others such as Andrew joined us last year. I would like to say thank you for all of your contributions and as always guys, I look forward to reading your next articles. What a strange journey it has been to get us here today. At the stroke of midnight tonight it will be one year. Things will continue to get interesting during the next few weeks with the upcoming NFL Draft, The CBA talks (extended another week), free agency and trades. We will be here to cover it all and give our unique perspective on the team. When Saulo takes a moment from his world travels and gets on his laptop, he usually blesses us with an informed article. We need to read more from Saulo! When Josh isn’t studying for mid-terms or finals, he also blesses our readers with well thought out stories concerning the current state of Big Blue. I am sure we will see more of Josh over the summer. Andrew has been busy lately but he also gives us a great perspective on the team through his work. Thank you once again writers for all that you do and thanks especially to all of our readers who are making nygreporter a respectable family friendly website. We have not wavered from our clean chat policy or managing a safe environment for sports fans. If any of our readers have a website suggestion, please feel free to leave a comment below. 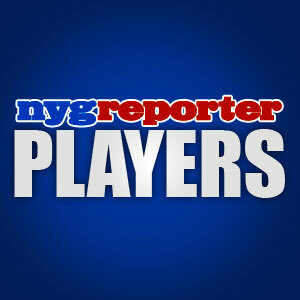 You do not need to be a member of nygreporter (although we hope you will become a member) to leave a comment but you do have to have a wordpress account. 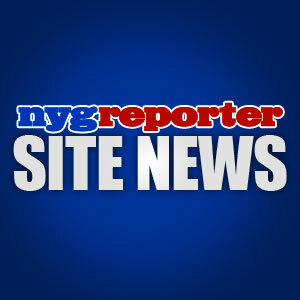 To become an nygreporter member, make a wordpress account, then make a separate account for nygreporter.com on wordpress. You can also subscribe to our email list or RSS feed if you prefer. We are always open to hearing new ideas about projects our readers might like to share and we always encourage participation. Here are some of the more interesting things that happened during the past year. – Calling the “Mike Francesa Show” and talking football with Mike while he was at Giants training camp in Albany. No links are available but it was a good 5 minute talk about the Giants defense. 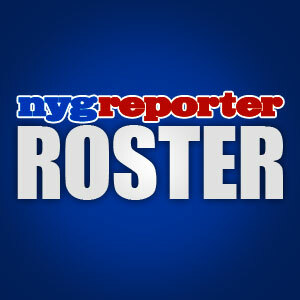 – COMING SOON: We are working on a partnership that will allow nygreporter.com to sell New York Giants merchandise. We will ONLY promote New York Giants products on our website. Feel free to leave your comments below, we would love to hear from some of our readers. Once again, thank you to the Giants community for all of your support. As some of you may or may not be aware, this Sunday (March 6th), will be the one year anniversary of the creation of nygreporter.com! It has been an incredible year to say the least. As we approach both our one year mark and our 24,000th view, we here at nygreporter would like to take step back and reflect on the year it was. Having started in March of 2010, this site has followed the exact path of a real year in the NFL. As you all know, the seasons official begins in March each year and we have been lucky enough to be here covering the ups and downs of the 2010-2011 campaign. We were there through all of the botched punts, the 25 interceptions, the horrific and scary losses but we were also there to witness 4002 passing yards and 31 touchdowns, 1235 rushing yards for 1052 receiving yards, we saw 11.5 sacks twice over and a 5 interception season by one shutdown corner. We saw 10 wins, we saw no playoffs, we saw an IR list that looked more closely to the size of an active roster (kidding of course) but most of all we saw a ton of heart from a team that in the end was left defeated yet hungry. I strongly believe that the team has an incredible hunger to win; I see big things in the future for this group of guys! As far as nygreporter goes? Well, we are hungry too! Hungry to improve, to write better, to write more, to see more traffic and ultimately more success. I see big things in the future for us too. You, as the reader, can expect big things this coming year. We will be here all season long for years to come covering your favorite team, so please, stick with us, support us, spark debate in the comment section, let us know you are here and what you are thinking! We would absolutely love to hear from you! We wish all of our readers the best in everything they do, thank you for sticking with us through our first year we hope you have enjoyed reading our work almost as much as we have enjoyed writing it. Stay tuned, the best is yet to come! NEW YORK – It looks like Big Blue is sending a clear message that they intend to address the special teams issue very early. The Giants signed 3 players to short term deals over the past two days. I am surprised by two of them actually. The three players signed are RB DJ Ware (2 year contract), WR Domenik Hixon (1 year contract) and RB Darius Reynaud (1 year contract). All three of these players will see most of their game time on special teams. They may be brought into the game under certain conditions or situations but they will primarily be used on special teams. The Giants also put out tenders on a handful of players including WR Steve Smith, RB Ahmad Bradshaw, TE Kevin Boss, DT Barry Colfield and DE Mathias Kiwanuka. I was surprised that the team locked up RB DJ Ware for another two years because he hasn’t been the most productive player. But I was even more surprised when they retained RB Darius Reynaud. This only means that they will not be unprepared if the injury bug pays a visit once again. I hope that Ware and Reynaud can contribute more in 2011 and I’m sure they do too because the whole world will be watching this group. Expect some fiery competition in training camp this season. The return game was atrocious last season and I think there will be a couple of guys on that squad looking for some payback. I expect the Giants special teams to be much more aggressive in 2011. If Tom Quinn emerges with his job intact after last season, it will be the biggest upset since Buster Douglas knocked out Mike Tyson in Japan. Punter Matt Dodge should thank his lucky stars too and do his best to maintain consistency. Coach Coughlin has no patience for inconsistency and he will be very vocal about it. The CBA talks are not going well but they did decide to extend the deadline a bit which is a good thing. The team will need to devote all of their energy to the 2011 NFL Draft very soon. Some on the staff have already been on the job for months. It’s who they are and what they do. Now that the NFL Combine has winded down, there is nothing left but free agency and the draft to look forward to as fans. And then the quiet season returns in May and June where there isn’t much football news. I expect things to continue to happen with the Giants camp from this moment through the entire weekend. Enjoy it while it lasts! Here is another look at the three recent signings. What are your thoughts on these recent signings by Big Blue? Are any of them a surprise to you?